If you are still really excited about the 2015 release of Sia's This Is Acting or are just looking for a easy but creative costume, than dressing up as Sia might be your ticket to Halloween bliss this year. Especially because spending a lot of time and energy on Halloween can be difficult. Luckily for us all, the simply-dressed singer/songwriter can actually be pretty easy to replicate, as long as you hit a few signature points. Something quick and easy feels perfect for the the busy human you probably are. It's even better when the easy-to-DIY costume you create is a little quirky, just like that be-wigged cutie, Sia. In order to Sia, there are few key things you need to include in your costume — a quirky hair style, simple main garment, and maybe an additional accessory to spark things up. Three parts. Pretty easy, right? Sia practices pretty minimal makeup, so you can just leave it to mascara and some bright red lipstick if you're feeling frisky. Easy costume, or the easiest costume? 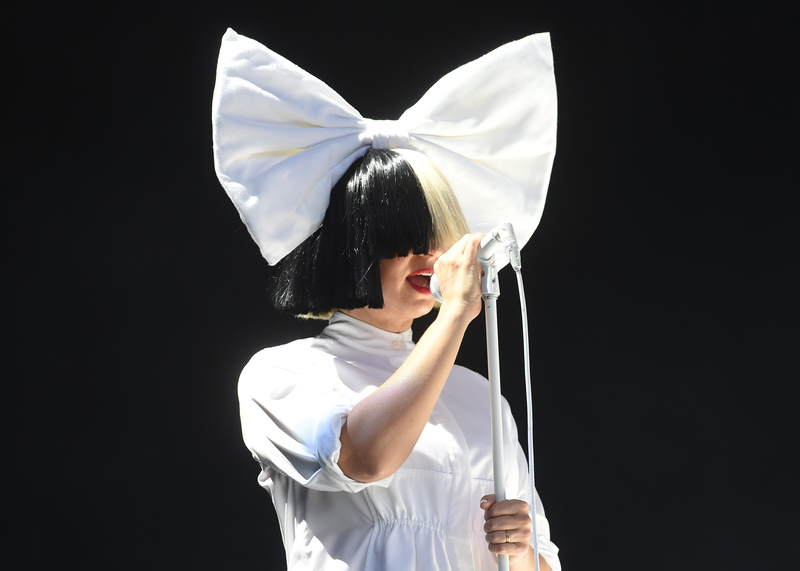 The following are some quick tips on how to dress like Sia this Halloween season. Happy hunting! You can choose to go with Sia's iconic half black half/blond look for only $17. Pretty cool! Or the equally recognizable platinum hair. A costume should be comfy as well as accurate and cute, right? I'm a big fan of this one because no one will notice when you get inevitably bloated by Halloween candy. Meanwhile, you can totally wear this dress again and look boho chic. There are definitely cheaper options for this dress, but Etsy nails the look. Sia is also inclined to go for the an all-black everything look. In that case, just go for something that will be equally comfortable as the white option, with witchy vibes. Even with a simple little black dress like this one, everyone will know what you are going for. The wig will help. Sia doesn't always or often go for dresses. A one-tone pant suit also encapsulates her look, and might just be something you own already. If not you can fake it with a blazer and pants of the same color. I thought this pantsuit from MissGuidedUS was perfect for the look, but you can't really go wrong with any matching pants/blazer combo. How great would it be own this pant suit? I can't even imagine. I might just have to find out. The hair is important, but the second most important part of the Sia costume is a hair accessory whether it be a giant bow or a hat. If you're crafty you might be able to make your own bow, but if not, you can always get a giant Sia-style bow on Etsy. Make sure your bow matches your outfit. Another option is a floppy hat. You can't go wrong with a floppy hat.